We have a serious drug problem in this country, and I’m not talking about marijuana or cocaine. I’m talking about dangerous prescription drugs that are doled out to trusting patients by their physicians—at a cost of billions per year! One class of popular pharmaceuticals—antidepressant drugs—may be contributing to one of the most prevalent and debilitating disorders in America today. Let’s take a look at how this madness got started. The use of dangerous antidepressant drugs has skyrocketed over the last 20 years. One in 10 American adults and one in four women in their 40s and 50s now take prescription antidepressants. This appalling statistic is a disturbing demonstration of the degree to which Big Pharma has penetrated medicine and our society as a whole. Physician mindset, time constraints, and insurance reimbursement policies favor quick office visits and drug scripts over really helping patients with their problems. And the American public goes along with it, apparently believing those ubiquitous pharmaceutical ads telling them that popping a pill will cure whatever ails them. The side effects and dangers of antidepressant drugs are numerous and severe. For example, these drugs are required to carry the most serious warning, a black box label stating that they increase risk of suicidal thoughts and behaviors in children, teens, and young adults. Imagine, doctors prescribing a drug that increases suicide—the one thing they most want to prevent in people who are depressed! Some degree of risk might be acceptable if they really helped patients, but the truth is antidepressants just don’t work very well. A meta-analysis published in JAMA concluded that only patients with disabling depression have even the slightest chance of being helped by antidepressants. Yet the overwhelming majority of those who take these drugs—and are exposed to their incapacitating and disastrous side effects—just feel a little blue. 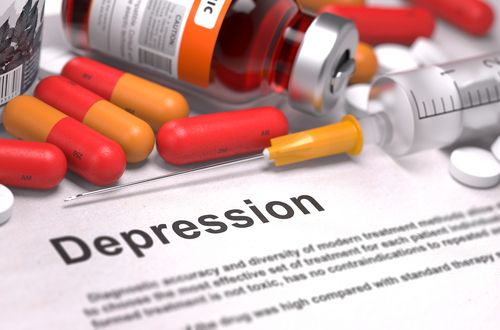 Increased risk of suicide isn’t the only adverse effect of antidepressants. Researchers examined the medical records of nearly 166,000 patients over the age of 30 who had no initial history of diabetes and who had been prescribed at least one antidepressant drug. 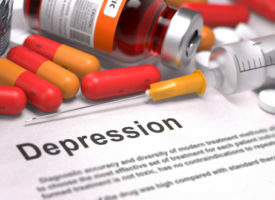 They discovered that using an antidepressant for two or more years increased risk of developing diabetes by 84 percent! The most problematic drugs were the selective serotonin-reuptake inhibitor (SSRI) paroxetine (Paxil and Seroxat) and the tricyclic antidepressant amitriptyline (Endep and Elavil). Patients taking more than 20 mg of paroxetine daily experienced a fourfold increased risk of diabetes. This is bad news on many levels. As noted above, studies reveal that antidepressant drugs have minimal effects on relieving depression. They also have unacceptably dangerous adverse effects. In addition to the suicide and diabetes links, antidepressants are associated with sexual dysfunction, weight gain, headaches, sleeping problems, fractures, emotional apathy, and aggressive, sometimes violent behavior. We’re already experiencing an epidemic of diabetes in this country. Unbridled use of antidepressants, which are notorious for causing weight gain—the likely link with diabetes—is simply throwing fuel on the fire. There’s no need to open yourself up to the risks of pharmaceuticals when safe, natural therapies for depression can provide similar, if not better, results. If you or a loved one is currently taking antidepressant drugs, it’s important that you do not stop taking your medication cold turkey. Talk to your doctor about weaning off your drug and then consider trying natural treatments for depression. If your physician isn’t willing to consider a non-drug approach, come see us at Whitaker Wellness. We’d be happy to help.